If your fantasies are bound to mad max clad vehicles depicting post apocalyptic scenerio then here is the good news for you. 2017 Ariel Nomad Tactical Buggy is for sale now. 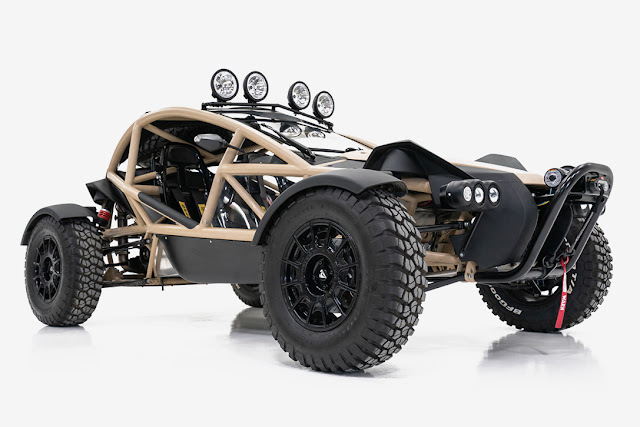 You can have your madmax dream to come true as this vehicle. This off road buggy is just for the best adventures that you can have. It has 230 horsepower Honda Engine that produces 200 lb-ft torque. It comes with 6 speed manual transmission. It can go from 0 - 60 mph is just 3.5seconds. The vehicle has ran upto 11,400 miles. You can make it yours for just $69,900.